You may have read about the poor treatment of US Amazon staff on an earlier Unlock The Law blog post. The rise of the zero hours contract in British organisations has caused controversy over recent years, as they seem to have gained in popularity since the 2008 financial crisis. 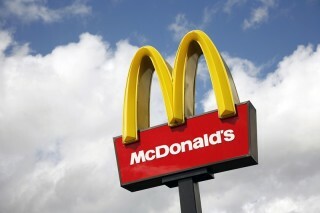 The UK boss of the global fast food chain McDonald's has defended the company's use of zero hours contracts. Paul Pomroy, who is the UK's chief executive, told the BBC that: "Jobs at McDonald's are good jobs...our staff are trained well and are proud to work for such a company." McDonald's staff are given two weeks' notice of their shifts and allowed to work elsewhere, which, according to BBC News, has not been the case with other companies employing staff under zero hours contracts. What are zero hours contracts? Zero hours contracts, also known as casual contracts, can be used to recruit people on a temporary and flexible basis. ACAS say that under a zero hours contract "there is no obligation for employers to offer work, or for workers to accept it". Although there are many myths surrounding zero hours contracts, it is generally the case that zero hours contracts give you the same rights as an employee after a certain amount of time has passed – the difficulty is that breaks in zero hour contracts can affect employment rights that accrue over time. There are specific rules concerned with travelling time and the National Minimum Wage, which generally mean that a worker (with the exception of a workers commute) should be paid at least the National Minimum Wage when they are travelling as a requirement of their job. This right is the same for those on 'zero hours' contracts. It has even been suggested zero hours contracts are a good alternative to hiring temporary workers through agencies. McDonald's Pomroy also admitted that the organisation may find it hard to pay staff over 25 years old the National Living Wage. Currently, all staff over 21 are paid just above the National Minimum Wage (£6.50 an hour) with staff under 21 being paid according to the relevant lower rates for them (£5.13 for those aged 18-20, £3.79 for those under 18, and £2.73 for an apprentice). What is the uk National Living Wage? The National Living Wage, which came into effect in April 2014, guarantees workers over 25 and above £7.20 an hour, and under plans by the Conservative government, could rise to £9 an hour by 2020. Critics argue that this is unfair on younger workers, but this step is arguably in line with existing provisions, in which employers' pay increases until they reach the age of 21. What else is next for McDonald's? McDonald's is set to open thirty new stores in the UK, and to trial table service at a selection of chains this month. This is in contrast to the rest of the world, where sales and profits have dropped considerably. Although McDonald's may have casual contracts, it looks as though workers are more fairly treated than US Amazon workers. Find out more about your employment law rights in the UK with our related guides below.